Before you begin using Composr, you will need to install it. Installing Composr is easy with our installation utility, which will be explained in detail in this tutorial. Before we dive into instructions, we should lay out the different options you have for installation. Use a supported integration. You can install with just a few clicks if your webhost has a supported integration such as Softaculous or Installatron installed. If this is the case then you don't need to read this tutorial. Use the quick installer. This tutorial covers this case. Use the manual installer. You are unlikely to need to use the manual installer. If you do, the Advanced Installation tutorial provides supplementary information to the installation fundamentals described in this tutorial. Get a professional developer to install for you. Install on dedicated server or cloud machine (IaaS). If a control panel is provided then installation may be identical to traditional hosting. Otherwise you will need to have a more advanced understanding of server management. Many details are described in the Advanced Installation and Webhosting for Composr tutorials. Install on a PaaS service. PaaS services are typically managed directly by programmers and specific instructions would vary greatly between service. Use a WAMP system. Covered in the Installing Composr on a Windows desktop tutorial. Use Bitnami. Covered in the Installing Composr on a Windows desktop tutorial. Use Microsoft Web Platform. Covered in the Installing Composr on a Windows desktop tutorial. Ensure that your host covers our minimum requirements. Consider getting a general knowledge of web applications. This is not required but it will give you some overall understanding of what kind of web systems there are and how they work. Make yourself familiar with the 'Webhosting control panel' your webhost has provided. Common ones include Plesk and cPanel. Your host may not name the control panel, but they will have provided you to the details to log in to it. You will typically use the control panel to set many things up, including: databases, possibly subdomains, possibly SFTP/FTP accounts, e-mail accounts. 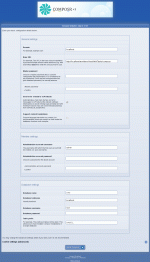 Usually SFTP/FTP details are instead e-mailed to you when you sign up for hosting. Sometimes you need to set themselves up yourself in the control panel, particularly if you are installing to a subdomain. 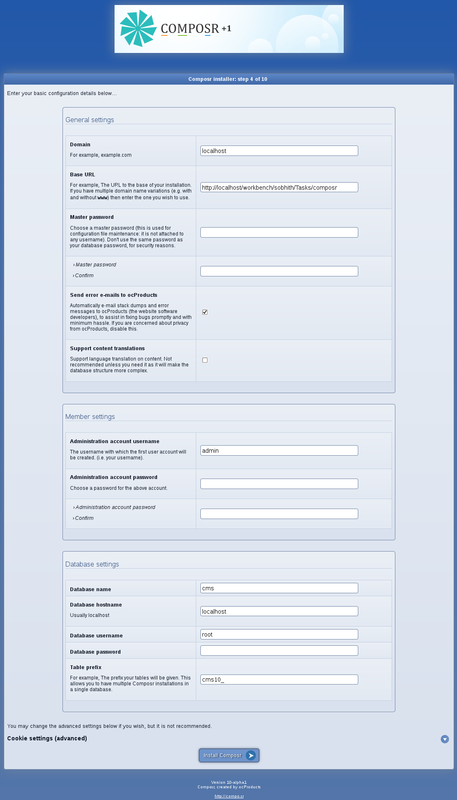 Typically you can set the database up yourself in the control panel. It can be a bit fiddly, so here are instructions for cPanel and Plesk. You typically need to create the MySQL user first, then the database, then provide access for the user to the database. The hostname is usually either just 'localhost', or something specific that the control panel will tell you. Be careful that often you don't get the exact username and database name you specify: often prefixes are added for you, and you'll be shown this if you look carefully. Composr will need to know the full names when you install. Make the MySQL password random and unique, as it will be stored in plain-text in your site configuration. Composr does not need its own database (i.e. it can share one), but if you are able to create a new one it is often preferable for reasons of tidiness. The database user needs full read/write/administer access over the database Composr will be installed in. Sometimes you set this access by ticking (checking) to have all permissions on your user. Sometimes you do it by setting the 'User role' to something such as 'dba' (e.g. h-sphere on Windows). Similar products require the same information. If you would like to use a 3rd party forum system for your website, we require that you install that before installing Composr. We recommend you use the inbuilt forum though (Conversr). At some point you'll need to decide which method you'd like to use to install Composr. You have two options, the quick installer, or the manual installer. We highly recommend choosing the quick installer. This is a simple process, where you upload two files to your web server, then launch our installation utility from there. It works on most servers. The second option is the manual installer. This option requires you to manually upload all of Composr's files using something like FTP and apply permissions to them – the typical method for most CMSs. This method takes much longer – as there is a pause for "handshaking" between each file. We maintain this version in case the quick installer fails on your host (e.g. if the host does not support PHP-accessible FTP or suEXEC in the way the quick installer needs). 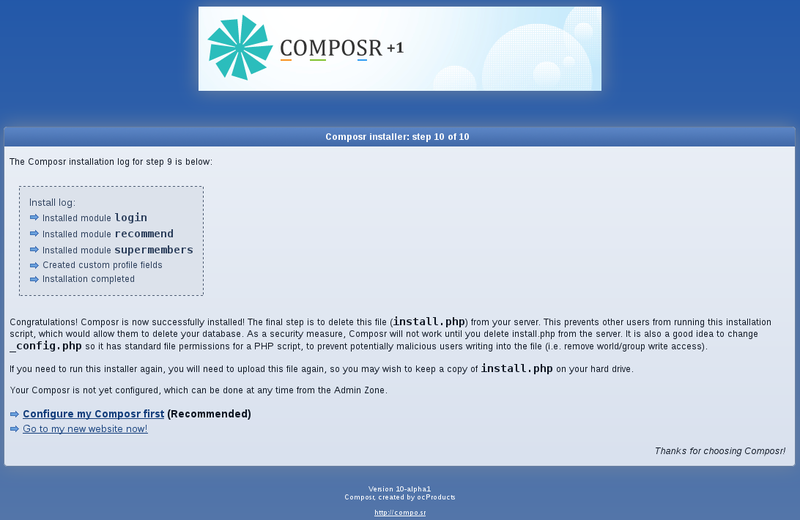 To install Composr, you must first download it from our website. It is generally best to choose the latest version, and, as stated above, we also recommend choosing the "quick method". 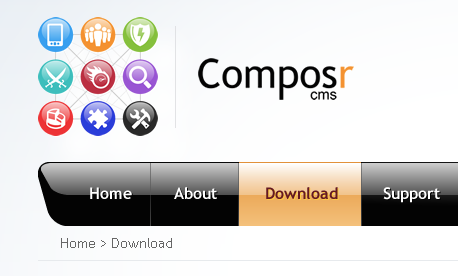 Download Composr from our website. Save it to a location where you'll be able to find it. After it downloads, you'll need to extract the files. The exact methods for doing this will vary based on which ZIP utility you use. An alternative to uploading via SFTP/FTP is using the File Manager within the webhosting control panel. However it is worth trying to get it working using SFTP/FTP, as it is a valuable basic tool. The next step is to upload the files to your web server. To do this you'll need an SFTP/FTP client (such as FileZilla, or use the one that comes with Windows). The exact steps to upload the files depend slightly depending on which SFTP/FTP client you choose. If you'd like to use the one bundled with Windows, open a new Internet Explorer window, and in the address bar, type ftp://username@servername.com, replacing username with your username and servername with the servername given to you by your webhost. You should be presented with a login screen (if not, you can access it by choosing File > Login As), where you can enter the username and password given to you by your webhost (image). Then you'll need to navigate to your webroot (possibly in a folder called www or httpdocs). If you can't find your webroot, e-mail your webhost for help. At this point you need to decide whether you want your website to reside in your root folder or not. If you choose to place it in your root folder (which is the recommended option), people will be able to access your site by going to http://yourbaseurl (unless you don't own your own domain name). If you choose to place it in a subfolder (for example, "subfolder"), people will access your Composr installation by going to http://yourbaseurl. When you successfully connect, find your webroot, and navigate into a subfolder if you chose to. You need to upload the files that were inside the ZIP package you downloaded. If you chose the quick installer, these files are called 'install.php', the other is called 'data.cms'. If you chose the manual installer, there will be many more. You now need to put these files in the desired folder. 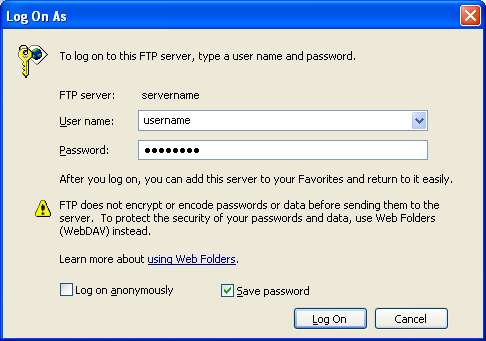 This can usually be done by dragging and dropping the files from your computer to your webhost in your SFTP/FTP client (image). After you upload these files, you've completed the hardest part of the installation. The next step is to open your web browser and go to http://yourbaseurl/install.php (substitute http://yourbaseurl/ as appropriate for your domain and install path). You should be greeted with a welcome screen, asking you which language you would like to use. On step three, you are presented with a choice to choose which forum system you would like to use for your website. We strongly recommend that you use Composr's own forum (Conversr), which if chosen will be installed at the same time as Composr. If you're using a third-party forum software, then you will need to already have it installed. Select the name of the software on the left, and then choose the appropriate version from the right-hand column. On step 4 is where the core configuration settings are input. Fill out each of the configuration options to the best of your knowledge. There are no constraints on the kind of password to use, but it is a good idea to choose one that won't easily be guessed, does not appear directly in a dictionary, but that you can easily remember. All of the database fields should be filled out with the information you recorded earlier in this tutorial. When you finish, click the "Install Composr" link at the bottom of the screen. Hopefully, at this point you'll receive this success message. If you receive any errors, return to the previous page and correct them. Click the "Proceed" button to continue through the installation. There will be a few more similar screens until you finish the installation. After you finish the installation, you are presented with one final screen, congratulating you on your successful installation, and giving you two choices – you can either jump right to your new homepage, or go to the Setup Wizard. If you have never used Composr before, we suggest that you run the Setup Wizard, as it will guide you through the basic settings of your website and familiarise you with the way Composr works. As a final step you will have to delete the install.php and data.cms files you uploaded earlier, using SFTP/FTP (or the control panel's File Manager). This is important for security reasons and Composr will make you do this. If you got an error message about having to delete the files just refresh the page once you have deleted them, and it will take you to where you intended to be. The Setup Wizard ("Configure my Composr first") will guide you through some basic setup for your site, to give you a leg-up. It is not required, but most users will want to run it to set some basic things such as Site Name, colours, and what addons are to be kept installed. The administrative password is a special password that will help you restore settings if something makes the traditional Composr interface unusable. Multi-site networks allow you to have more than one Composr installation (multiple websites), all running on the same network. If you choose this, members who join one website will also have registrations at other sites.